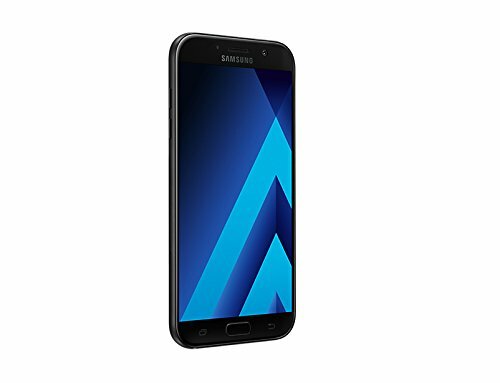 Samsung Galaxy A7 is a complete Android cellphone launched a few years ago, which counts with a 5.5-inches screen, an extremely powerful 64 bits Octa-Core processor (actually, there is a Quad-Core clocking at 1.5 gigahertz and an extra Quad-Core running at 1 GHz), and 2 cameras, a 13 MP back facing camera and a 5 mega-pixels front facing camera. This phone is much lighter than what one would expect from a cellphone this size. This cellphone is a compact cellphone, given that it packs a 5.5 inches display and it is only 5.94" long and 3" wide. 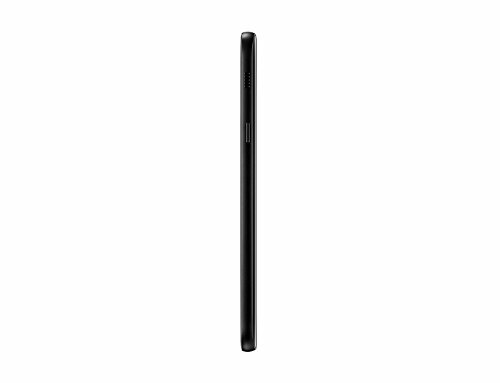 This cellphone is extremely thin and stilized, being just 0.25" thick. Samsung offers this cellphone in 3 different color options: blue, white and gold. About its construction materials, this cellphone is majorly manufactured with Metal. 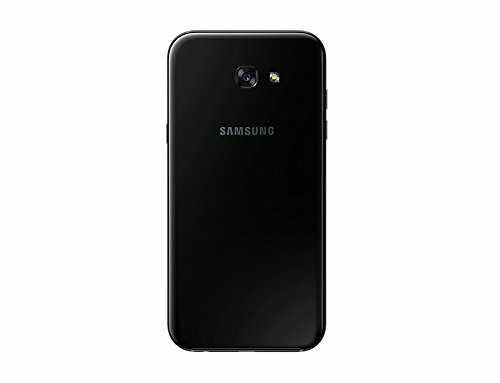 Samsung decided to power this cellphone using an extremely powerful 64 bits Octa-Core processor (as a matter of fact they are really a Quad-Core ticking at 1.5 gigahertz and an extra Quad-Core clocking at 1 GHz), packed into the Qualcomm Snapdragon 615 8939 chip and a great 2 GB RAM memory. Graphic rendering generally consume lots of CPU processing time, so this cellphone has an Adreno 405 GPU clocking at 500 megahertz to help handle those graphic tasks. A nice feature of this phone is its big 16 GB internal storage memory and a slot for external memory cards, allowing you to install a couple hundred apps without any trouble. 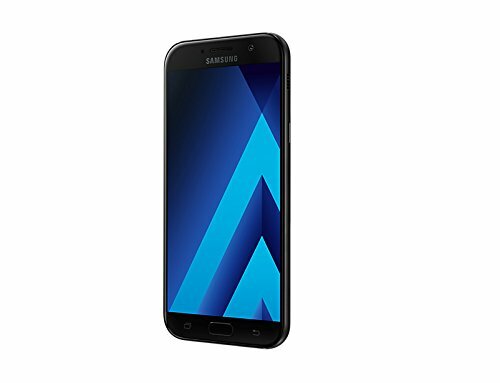 The Samsung Galaxy A7 includes a spectacular 5.5 inches screen with a 1920 x 1080 (Full HD) resolution, which makes it impossible to even distinguish the pixels taking part of the screen. Its screen uses Super AMOLED capacitive technology, and allows multi-touch for gestures like pinch and zoom. This cellphone features two cameras, a 13 mega-pixels back camera and a 5 mega-pixels front side camera. It is capable of filming Full HD 1920x1080 videos at 30 frames per second. This camera also features a couple of useful features: flash, face detection shooting, auto-focus, geo tagging and HDR mode. This phone features an incredible 2600 mAh Li-Ion non-replaceable battery, which is quite poor for a demanding phone like this. A key issue to consider is that this cellphone's battery is non-removable	so you can't change it when it starts losing capacity, having to buy a new cellphone to "solve it" or hopefully take it to an expert who can dismantle it and change its battery. This cellphone features wi-fi capability (which it can share with other devices acting as a mobile hotspot), 4G LTE fast connectivity and also HSPA+ data connection, which is a slower 4G variation or the fastest 3G data connection, over HSDPA, HSUPA and EDGE technologies. The A7 comes with two Nano SIM cards so it can to work with 2 different phone numbers in the same device. This cellphone also comes with some interesting features like Bluetooth, GPS and NFC, and multiple sensors like Light Sensor, Proximity Sensor, Accelerometer and Compass. Samsung sells this cellphone for only $ 360, which is an incredibly low price comparing with similar phones. If you will use it for work, will use it as a social device, are looking for a phone to play games or you love taking photographs, you will probably love this phone.